Jawaharlal Nehru International Stadium locally known as Kaloor Stadium is a multi-purpose international stadium situated in Kochi, Kerala. The stadium is used mostly for cricket and football matches. With a maximum capacity 60,000 Limited to 29,748 for 2017 FIFA U-17 World Cup and 39,000 for Indian Super League. The stadium is widely touted to be one of the noisiest football stadiums in the world due to its distinctive architecture. 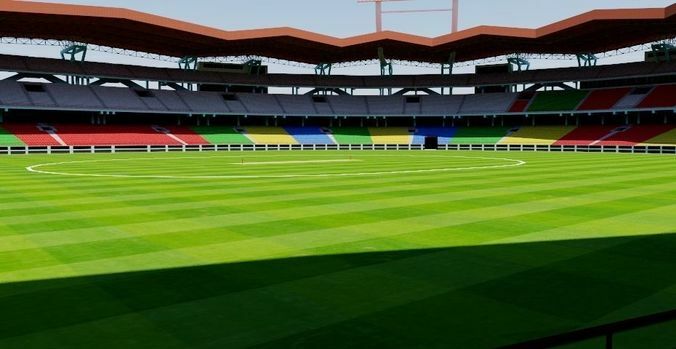 The stadium acts as the home ground for teams including Kerala cricket team, Kerala Blasters FC (Indian Super League).